⬅ Is There More to Life than This? “Good is the enemy of great.” Consider the operative word of that phrase coined by Jim Collins in the opening sentence of his book Good to Great–enemy. Great leaders, by pursuing greatness for their organization, business, church, can become the fall guys for the very organization they love and are seeking to reform. 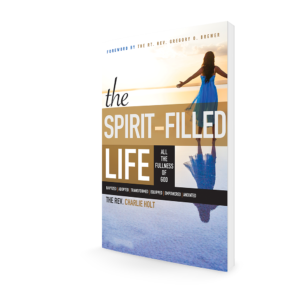 On a deeper level, God works all things for the good of those who love Him and are called according to His purpose–true greatness from God’s perspective does not always equal success in the worldly point of view. In order to reform any organization, whether you are talking about a church or a business, the reformer must have a steel will to persevere.In my circles, it is called faith–faith to see what should be and have the perseverance to see it realized in the face of opposition. But not every effort to reform is met with welcome arms. The reformer will learn the meaning of sabotage and pain. 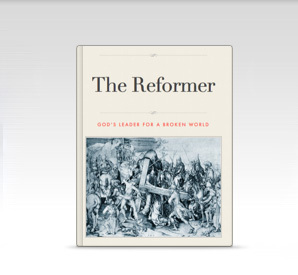 Sometimes the forces that the reformer is seeking to change are more powerful (at least from a worldly point of view) than the reformer himself. We live in a world of human systems, whether we are talking about a family, business, government, or a congregation. Humans organize and develop systemic patterns within human relationships. These systems of relationships can be healthy and great or they can be sick and dysfunctional. The reformers high calling is to take sick human systems and make them healthy and highly functional. When it works, nothing is more rewarding or more fulfilling, not only for the reformer, but also for he many people liberated and enriched by the reforms. When a human system is unhealthy, broken, and mired in mediocrity, there is usually a reason. Human sin and corruption are often present at the heart of the matter. It does not take long for a corrupted system to either seek to corrupt its reformer, or, if not possible, to eliminate him. This is why the work of reform is not for the faint in heart. It requires courage and will. The history of the people of God is littered with the martyrdom of great men and women who saw a better future for their people or human systems under their concern and yet found themselves thrown under the bus by the very people they were seeking to help. Thank God there are people of integrity who take a stand for what is right and doing the right thing in every sphere of our society. Such people are the great lights of our race. Unfortunately, history betrays and reveals our true nature with respect to such heroes of the faith and reformers of society; far too often they are deeply wounded and often destroyed by the human systems they have ordained to reform. In order to reform mediocrity, one must be willing to stand with a stern will; but even the strongest of wills cannot carry a body through the fires of persecution or the assassin’s bullet. Sometimes in this “world of devils filled”, evil seems to triumph over good. Alas it doesn’t always work. Sometimes the forces to remain the same break the reformer. Which of the prophets did you not stone? One could ask whether living as such a person is worth the personal sacrifice and whether it makes any difference.On one level, the answer is “no”. The systems of the world have been and will continue to be corrupt. From another perspective, the answer is a resounding “yes”. We never see the big picture. We never see how God will use our efforts to accomplish his purposes. While from one side we may not accomplish “success” our brokenness may serve to further God’s plan in some unknown way. This has been the history of redemption through the ages. We may never know who will be inspired by our stand for what is right, but we should always know that we are always being watched by those around us.We should never underestimate the power of the leader who is upright and walks with integrity to inspire others to the same. In Christian terms this is called our witness. Are we willing to make our witness to truth, to patriotism, to good business practices, to greatness…but most importantly are we willing to make our witness to Jesus Christ? 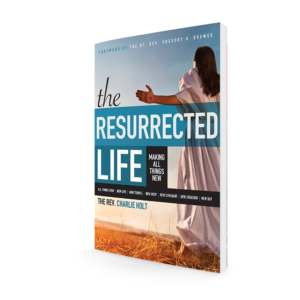 The witness of any one reformer is costly in ways that no other person will ever fully be able to relate, financially, relationally, physically and spiritually. And no one can dictate for another the manner of their sacrifice. A witness is free to lay down his life and take it up again of his own volition. That does not mean that the witness goes unnoticed. For those of us who have journeyed along side the prophet through his trials and faithfulness are encouraged in the heart. The witness does not go unnoticed by those who are opposition and may even be responsible for his trouble. But especially the witness of the faithful reformer does not go unnoticed by God. Whatever the worldly outcome, the Lord knows the attitudes of our heart and he sees in secret. He will reward those who earnestly seek him. Vindication in this life for the right is a fleeting thing; even if it comes it ultimately is unsatisfying and inadequate. Vindication is mine says the Lord. He will repay. There is comfort in that. It enables the victim of injustice to move on with life with peace and grace, to even be praying for the enemies who persecute, even remaining in relationship with them showing them the grace, truth, goodness and love of God. This unusual behavior is the unique mark of the Christian Life, it is the mark of a disciple who has picked up his cross and followed Jesus. The world will never understand such a way of being human, enemies who receive the grace of those whom they have persecuted often perceive it in negative terms “heaping of burning coals”. Yet this truly is how the world is changed and redeemed for God. The Lord is pleased to use us most powerfully; not in our successes, but in our failures; not in our victories and vindications, but through our persecutions and losses. The Cross lies at the heart of God’s salvation to the corrupt problems of the World.